Could be a good opportunity for both parties. A few years ago (back in the summer of 2008) Nikos Pappas(1.95-SG/PG) signed a 4-season contract with Bilbao. This season would have been his last but it seems that Pappas and Bilbao went on their separate ways and Paok seized the opportunity to add a guard to their frontcourt. Pappas was the star of the young National Teams of Greece especially in the New Zealand U19 2009 World Championship but since then he has shown very little improvement in his skill, technique and physique. He played for Kolossos Rhodes for the last 2 seasons on loan from Bilbao but still not much improvement. He's got the 2nd half of the regular season to show something but chances are he will get very little money out of Paok this season(if any) but he could convert that into a better contract next season. 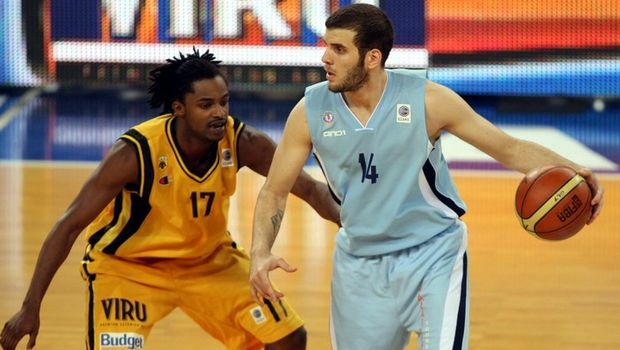 Last season he averaged 7.5 points 1.4 rebounds and 1.3 assists in 25 games in the A1 league playing for Kolossos.